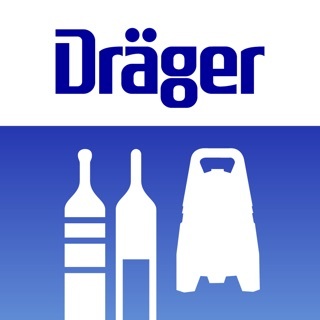 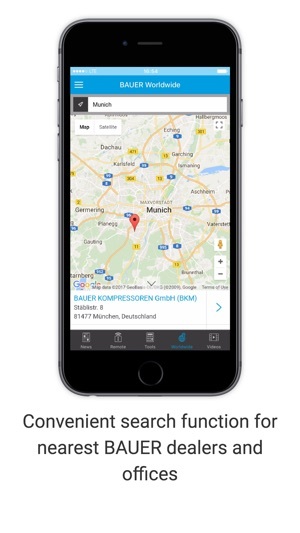 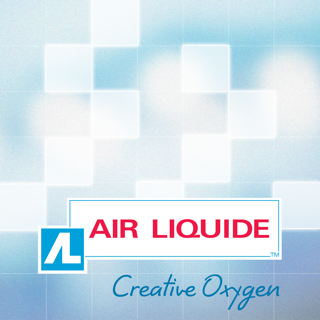 The BAUER KOMPRESSOREN APP (B-APP) offers an array of features including product-specific news, videos, integrated dealer search function and various calculation tools related to compressed air. 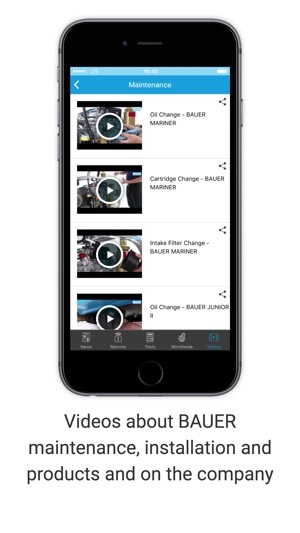 In addition, the B-APP supports remote control and monitoring of BAUER Compressors via the new BAUER control unit, B-CONTROL MICRO. 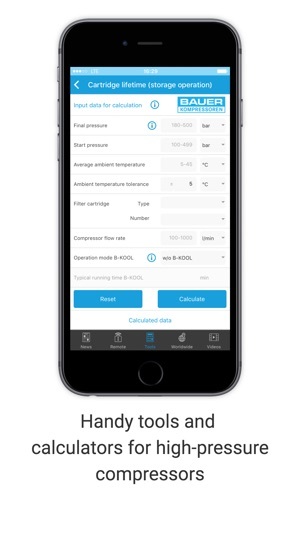 The B-APP supports remote control and monitoring of BAUER Compressors via the new BAUER control unit, B-CONTROL MICRO, in local WLAN networks. 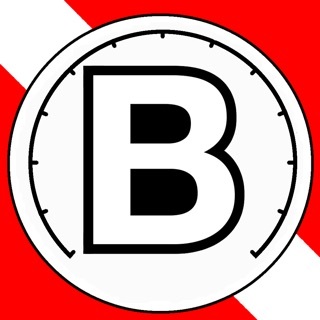 The user’s smartphone or tablet can show the current actual status of the BAUER Compressor or B-DETECTION PLUS unit in real time. 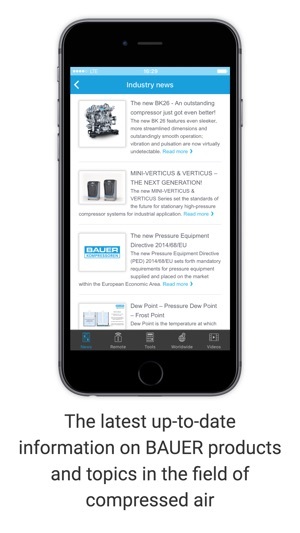 For the technical requirements, visit our website at bauer-kompressoren.de or consult the technical data sheets for the relevant compressor models.